Finally I have time to update my travelog.. This series of travelog will be my trip to Seoul during last July. The main purpose for this trip is to catch Super Junior’s Ryeowook’s new musical “High School Musical” with my sister. Something exciting happened when we touched down at Incheon Airport, curious to know? Read on..
We took SQ flight to Seoul, that time SIA was having promotion. With return air tickets only cost us $627.20 per pax! SIA is always my preferred airline to travel, service good and now they have increase the allowance baggage to 30kg per passenger. Don’t have to worry and can shop more when you travel! 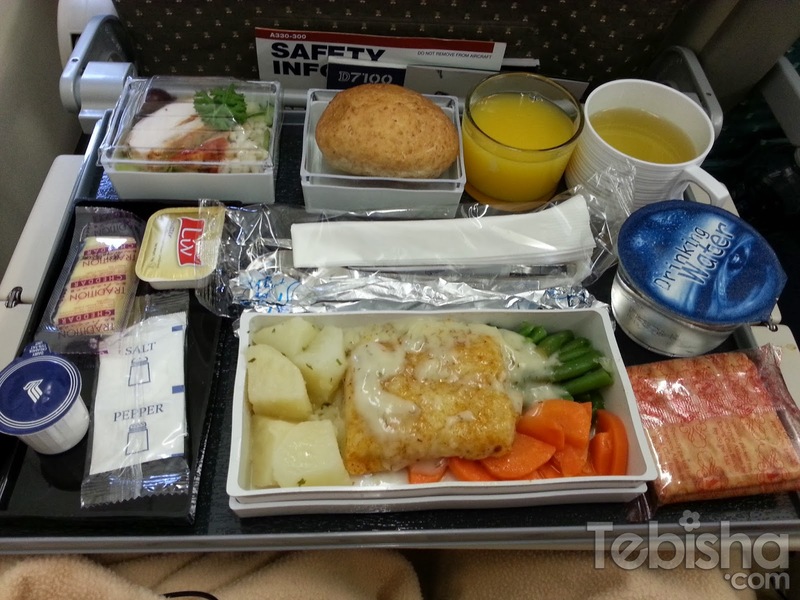 Love the spread of SQ flight meal. After 6 hours+, finally we touched down at Incheon Airport around 3.30pm KST. 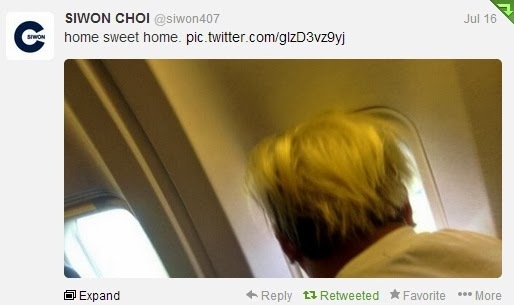 That morning on our way to Changi Airport, Super Junior’s Siwon tweeted. He mentioned that they are leaving Hawaii! And I’ve calculated the flight time from Hawaii to Seoul, its around the time we reach Seoul too! OMG! In my mind, I was telling myself, high chances to see them upfront in Incheon Airport! When we checked the arrival timing of all Hawaii flights, there were 3 flights on that day, 3.30pm, 4.30pm & 5.30pm. We touched down around 3.30pm super worried they might arrive Incheon and left, keep on checking twitter for Airport photos. 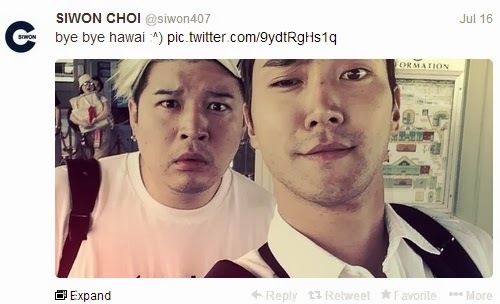 And guess what, no airport photo of SJ at all which means they have not arrive yet! So we guess they either arrive at 4.30pm or 5.30pm. We quickly passed through the immigration and collected our baggage, rush to the 4.30pm arrival baggage belt for Hawaii flight. Finally, the belt started moving, there’s 1 guy keep walk round the belt and he look super familiar. I told my sis, is he Kyuhyun? Because we looked from a distance and he was wearing a cap we couldn’t confirm. From the way he walked and his built, I strongly feel that he is Kyuhyun! And I was RIGHT! After 5 mins, Ryeowook joined him at the belt! We couldn’t miss Ryeowook cause he had purple hair that time. We were mad excited but just stupidly stand afar from them, no guts to approach them at all. Super failed with all the blur photos I took inside the airport, phone camera is lousy and I was damn anxious at the point of time. 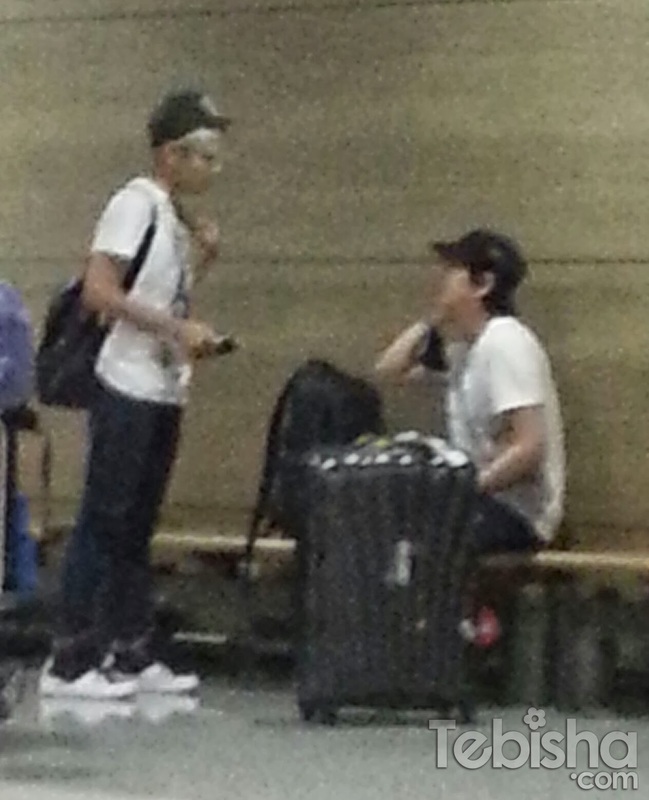 After they collected their baggage, Ryeowook left to the exit alone. 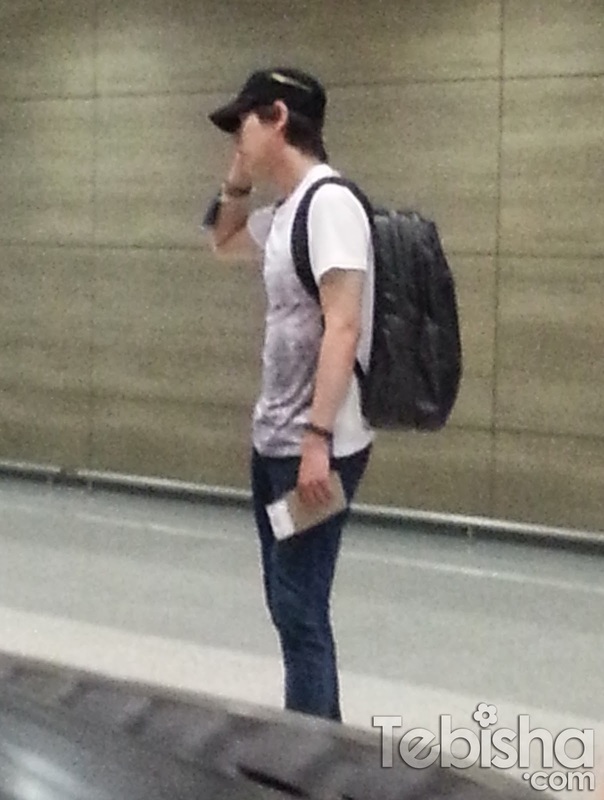 Kyuhyun was alone inside and busying making calls. We followed him all the way to another belt and realised that the rest of SJ member were actually taking a different plane. And we saw Siwon, Donghae, Kangin, Sungmin & Shindong there! OMG!!! We still afraid to go near them and it started to get crowded. But we still managed to walk out the exit with them. Siwon was right beside me, I greeted him and he smile back! GOSH! Couldn’t forgot his smile.. LOL! Outside the exit, fans were all waiting! This was the time where everything went chaotic! Fans started taking pictures right in front of their faces and followed them to their van and send them off. We met 1 girl from Singapore at the airport, she was here to catch Ryeowook’s musical too. We took the Airport limousine bus 6015 to Myeongdong with her. Booked Myeongdong Skypark III this time, the airport limo bus stop is situated in front Sejong Hotel and Skypark III is right beside Sejong Hotel. Myeongdong Station Exit 9 is just in front of Skypark III hotel, very convenient and accessible! 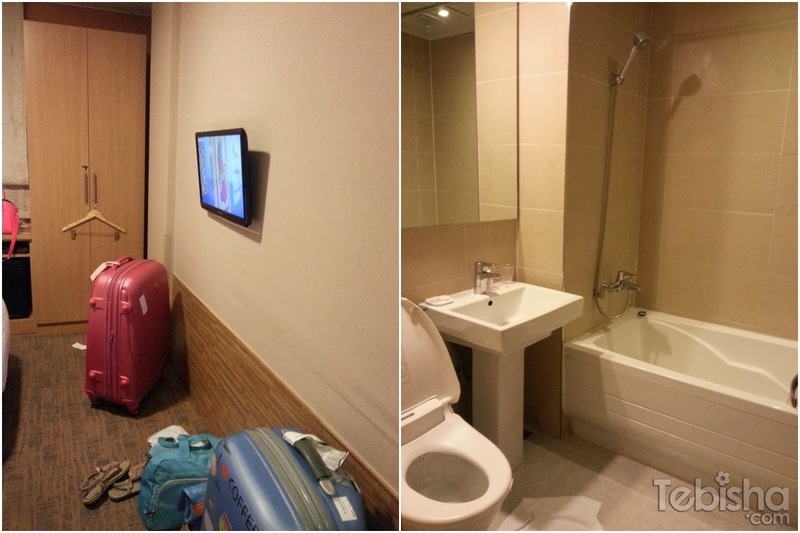 Room is quite small, after opened up our 2 luggages, we hardly have space to walk. But the room is clean and decent. 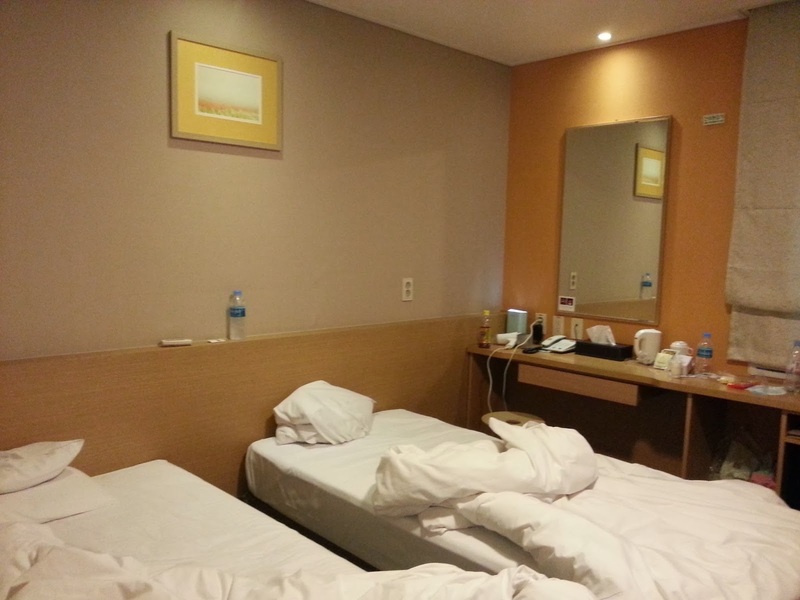 I will go back to this hotel again for my next trip, very accessible to airport limo bus stop, subway station and most important its within Myeongdong! After settle down all our things, we were really hungry! 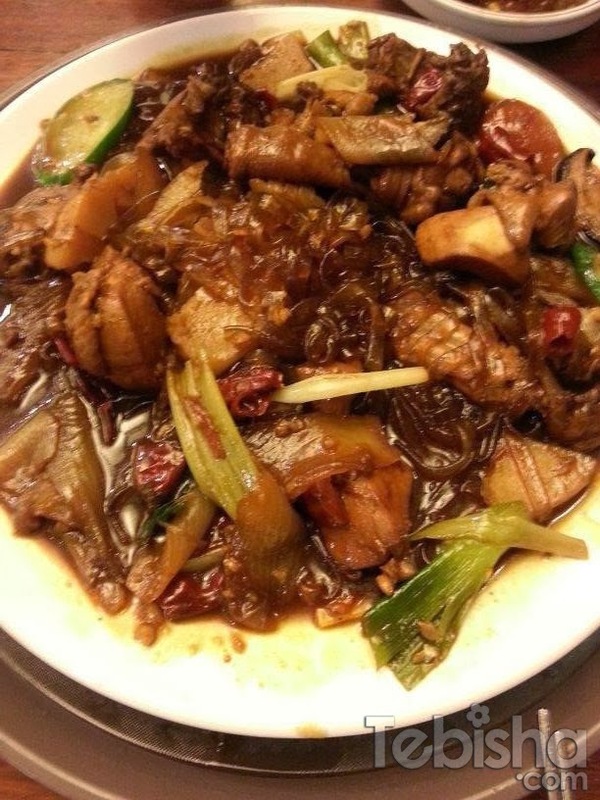 Time to feed ourselves before heading to KBS building for Ryeowook’s Kiss The Radio recording. Have been craving for Bongchu Jjimdak when I was in SG. So our first meal in Seoul have to satisfy my craving! After our quick dinner, met up the girl we met just now at airport. We going to share a cab to KBS for Kiss The Radio Recording! Super Junior M – Henry was here for their English segment in the show! Here’s come the star! Ryeowook! Live recording ended at 12am, before Ryeowook leave, he waved and say bye to us! That night ended with a heavy storm! Took a cab back. Seoul Taxi driver always don’t alight us at the destination we want, usually on their convenience. That night he alighted us opposite our hotel, we still have to walk down the subway station and cross over to our hotel. Day 1 ended with excitement and unforgettable memories! Can’t wait for Day 2 to come.. We going to watch Sungmin’s musical “Jack the Ripper”! Stay tune to my next blog post!